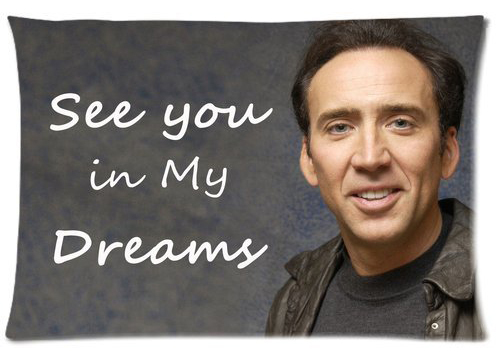 In case the 5 non-personalized Nicolas Cage pillowcases I found awhile ago aren’t enough to fuel your nightmares, you can now buy a personalized Nicolas Cage pillowcase. 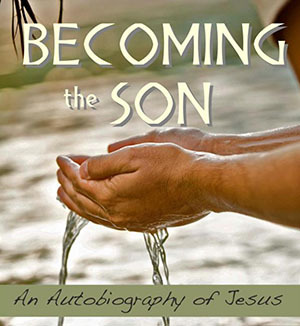 I’m not sure that it counts as an autobiography if it’s written by someone other than the subject, and the excerpts available online were extremely dry and boring, but let me take a stab at it. Like a Roman. The “50/50 bank” lets you drop a coin in the top and watch it fall into one of two separate tubs of change. But I want to know what college can be paid for with a handful of change. 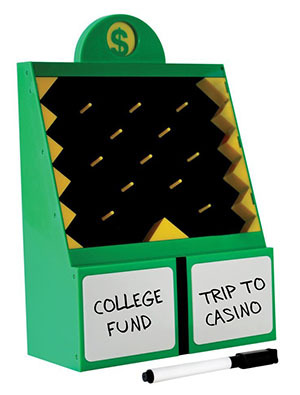 For that matter, I wanna know where I can take a trip to a casino and spend less than thirty bucks. 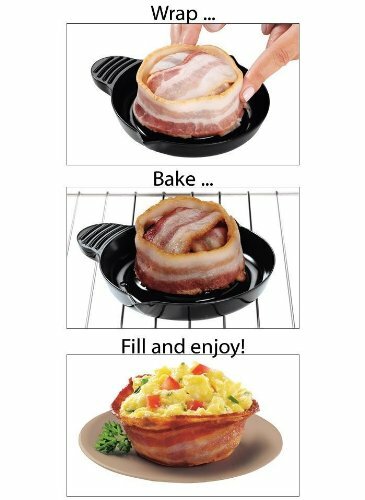 According to the box, “Everything tastes better in a bacon bowl.” The Perfect Bacon Bowl is a tool which you use, if you hate your body, to microwave strips of bacon into a bowl shape. Believe it or not, it’s frequently bought with the StufZ Burger Press, which has to be neck-and-neck with eating every meal out of a bacon bowl in terms of culinary horror. Make sure you read the dozens of reviews paying tribute to a life made more complete with the addition of Perfect Bacon Bowl. The Heimlich Helper is a plastic paddle you can use to punch your lungs and cause you to cough up food you’re choking on. It’s made by a company called Big John, which is kinda weird, because a company called Big John makes and sells one-pound bags of beef jerky. Guys, are you selling choke-food and then selling people anti-choking devices?! The book “199 Vaginas: The Ultimate Photo Collection” brags that the book will make you “feel like a gynecologist.” So if you’ve ever wanted to make a woman fill out a 4-page form before you spray vinegar on her cervix, this is the book for you.